This War Toad knife features Crossfire patterned G-10 and titanium handle. 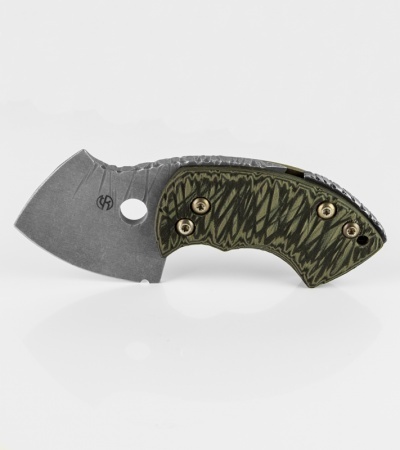 The blade is chisel ground and acid washed CPM-154 stainless steel. 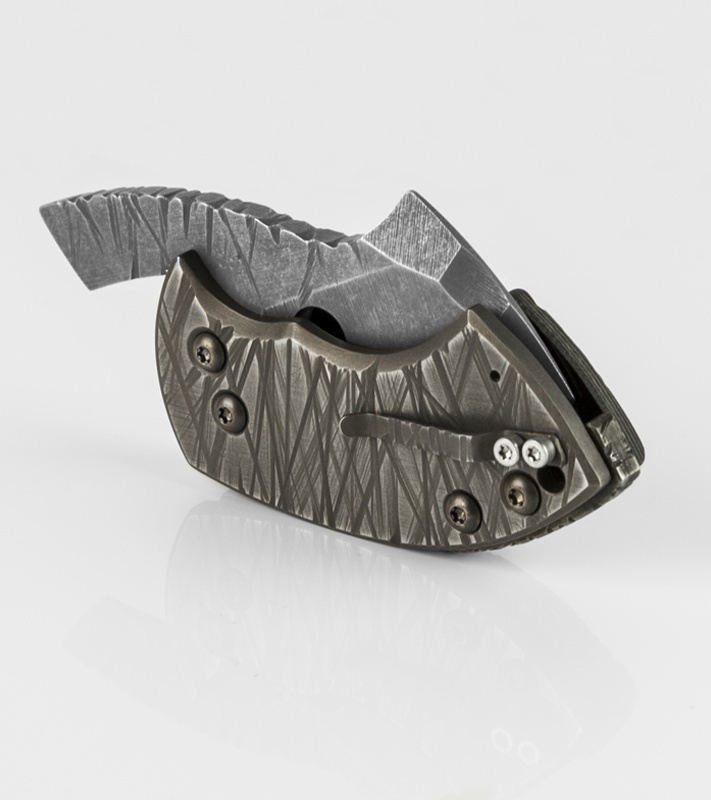 When folded, the tang on the blade acts as a small pry bar.